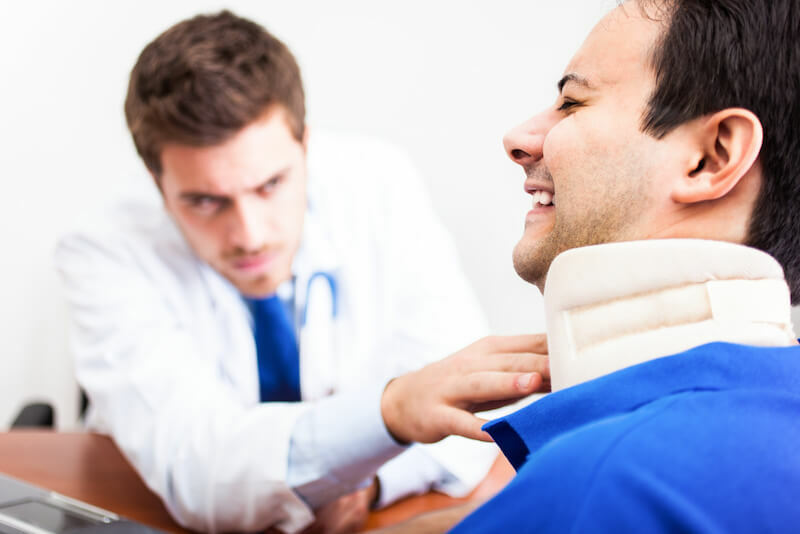 Broken Bones & Paralysis Attorney Dallas | Juan Hernandez Law P.C. Automobile accidents, slips and falls, and workplace accidents can all cause broken bones and fractures. While the severity of the accident often determines the severity of the fracture, that is not always the case. Sometimes, seemingly innocent falls can cause devastating fractures, leading to a lifetime of pain, surgeries, and decreased quality of life. There are several types of broken bones and fractures—and each can cause serious damage. Depending on the location of these fractures, internal organs can be compromised and even impaired. Rib fractures can puncture lungs; spinal fractures can sever the spinal cord, and head fractures can cause brain damage. Complete Fractures – this type of fracture occurs when the bone is cracked into two separate pieces. Compound Fractures – this type of fracture is also referred to as an open fracture and occurs when the broken bone has broken through the skin. Unfortunately, even simple fractures can cause long-term consequences. Fractures that do not heal properly, that compromise surrounding tissues, or that occur to the elderly can cause soft tissue injuries and arthritis that can limit mobility and cause extreme pain and discomfort—long after the initial fracture is healed. When a vertebra is broken in an accident, the results can be horrific. Broken bones in the neck and the back can lacerate the spinal cord—causing permanent paralysis. The location of the break and the severity of the injury to the spinal cord determine the degree of paralysis. Broken bones in the neck will often result in partial or complete paralysis to all 4 extremities. Injuries to the lower back and spine; however, will likely result in partial or complete paralysis to just the lower extremities. While some types of partial paralysis can improve, victims will likely experience numbness, tingling, limited mobility, and decreased sensitivity in the affected extremities for the remainder of their lives. Accident victims who are paralyzed need an attorney who can fight aggressively to ensure that they receive the maximum compensation for their injuries. Medical bills, rehabilitation expenses, long-term care, handicap equipment, and medications can cause extraordinary financial strain on families who are struggling to cope with their loved one’s paralysis. A Dallas attorney can help you provide care for your paralyzed loved one after a devastating accident. Contact Juan Hernandez Law P.C. At Juan Hernandez Law, we can help you file the necessary claims and ensure that you receive all of the compensation to which you are entitled. If you or someone you love has broken bones or been paralyzed in Dallas, Fort Worth, Houston, Austin, San Antonio, or anywhere in the State of Texas, it is critical that you contact one of our experienced Dallas Personal Injury Lawyer immediately. We will fight the tough fight—so you can focus on your recovery. Contact us today for a free consultation.